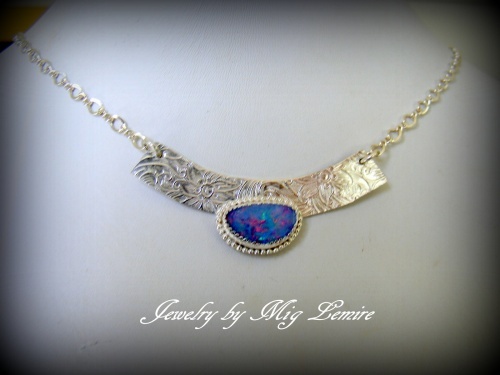 This necklace has a dramatic and beautiful Boulder Opal gemstone on a sterling silver band which has been detailed by hand . Piece is one of a kind and very luxurious. The band measures 2 1/4"wide just enough to drape the neck so it looks pleasing and makes the statement. Chain is 20" long but can be made shorter or longer.